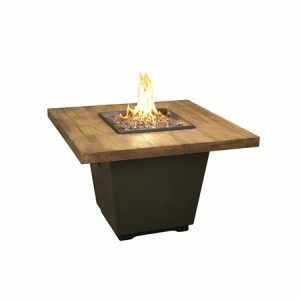 The Reclaimed Wood Contempo Gas Fire Pit Table – Round will add the modern rustic feel to your outdoor living space that you’ve been looking for. 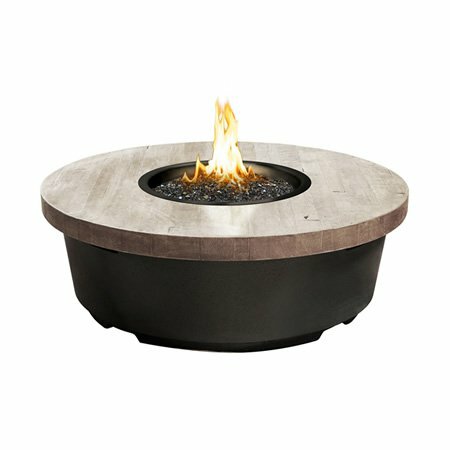 The reclaimed wood top is a beautiful addition to this round fire pit table and causes no harm from the fire as it is not actually made of real wood. 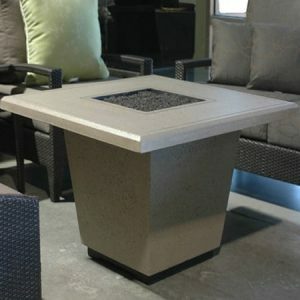 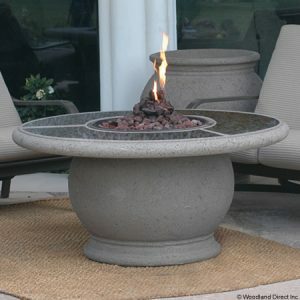 It’s made of glass-fiber reinforced concrete and uses a stainless steel burner meaning you won’t have to worry about the elements of the outdoors affecting its appearance or performance. 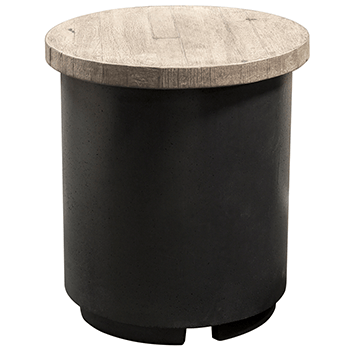 The Silver Pine is handcrafted in the United States and is sure to compliment just about any decor. 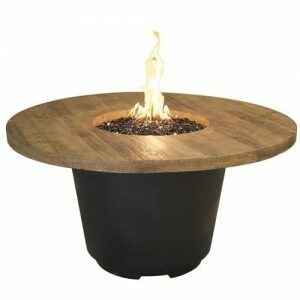 Bring your gatherings to life by making this fire pit table the focal point.